We are one of the renowned manufacturers, service provider and exporters of a comprehensive range of Indutrial Coil, Yuken Coils and many more. 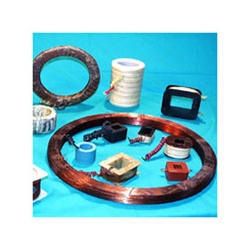 To manufacture these coils, we make use of quality raw material that is sourced form reliable vendors of the market. We ensure that these are manufactured under strict supervision of our professionals to make the coils in compliance with in compliance with either of the A, E, B, F or H class of insulations. Further, these are widely appreciated by our clients for their efficient performance and precise functioning. Our complete range is available in standard as well customized options to meet the varied requirements of diverse industries. Apart from manufacturing coils, we are also engaged in offering Sheet Metal Fabrication and CNC Bending Services that are undertaken by our team of qualified professionals. They consider each and every detail given by our clients while, fabricating various equipment to attain maximum client satisfaction.